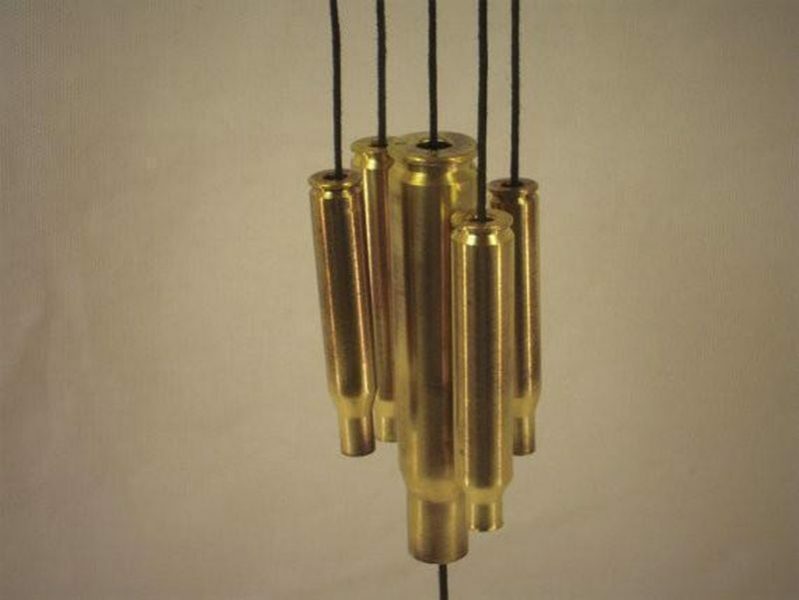 The soothing and relaxing sound of the wind chime is something that we all love. In fact, it is also believed that the sound of the wind chime helps to drive negativity out of the house. We spend so much of money on various things that just end up either being staked in a box or thrown out. Well, now you can decorate your house with these creative DIY wind chime ideas and put your old things into good use. In most homes, you will find a stock of tin cans. 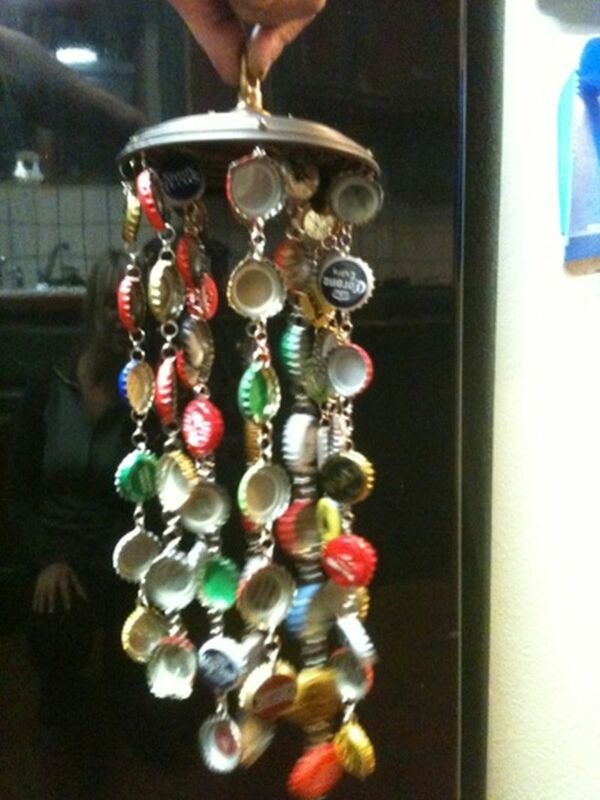 Well, instead of throwing them away, why not use the cans as one of the creative wind chime ideas with waste materials? 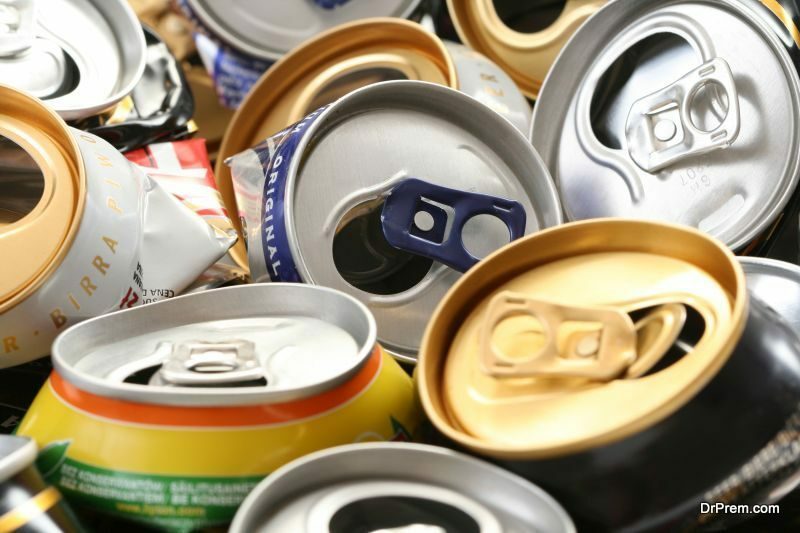 All you need are a few tin cans (depending on the size and design you choose) and a drilling machine – to drill holes on the cans. Children grow very fast; and within no time, they outgrow their crib. As a memory of his/her childhood, you can use the various toys that were hung on the crib and make an innovative wind chime for your house. If you have old keys that you are not using anymore and do not know what to do with them, this idea is for you. Although you can use the help of various wind chime ideas and tutorials to help you out, this is the easiest one of the lot. To make a wind chime out of old keys, all you need is some twine and a hook or a steel rod. You can also choose to make this out of metal wires and come up with some amazing key-based ornaments. This is not only a very creative idea, but also the most innovative one that you can use. There are various DIY wind chime ideas that you can use if you have old planters or pots. However, just in case you have an old strainer, there is a good way to put it to use. The deeper end of strainer (bowl) can be used for a plant. Use different materials like small pebbles or stones, a few bells, seashells and other such items for the wind chime. There was a time when people had a wide collection of songs and movies stored on CDs, which is not the case today. 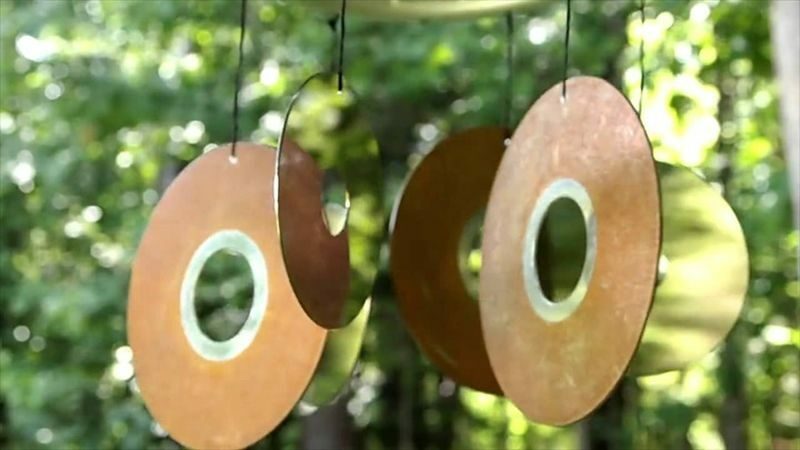 Instead of throwing away your old CDs, why not make a beautiful wind chime out of them? Given the fact that you can design, paint, and decorate them according to your convenience, this DIY idea will give you a chance to create a beautiful wind chime that you can hang anywhere you want. DIY wind chime ideas with bullet cases are another great way to put unwanted things to good use. People who use guns for whatever reasons will always have a stock of bullet cases. Instead of letting them pollute the environment, you can create an interesting looking wind chime with your bullet cases. DIY wind chime ideas with vintage teapots look very elegant and classy. These sorts of wind chimes can blend in well with any theme and concept. They not only make a beautiful addition to your indoor décor; but also look attractive when you hang them at a porch or in a garden.To give it a better look, consider using beads or even ribbons to hang the various ornaments you want to use for your wind chime. We have seen many creative ideas using bottle caps and beads. Well, now you can also use them to make your very own wind chime. For this idea, it would be advisable to use flexible thin metal wires instead of twine for a better grip of the bottle cap. You can use thread for the beads and join them together. If you are wondering how to make wind chime at home with seashells, then this idea will give you a way. To make the sun catcher, melt any plastic object that you have into a circle. You would need to take all the precautionary measures while working on this idea, so research well before you do it. Some people love to collect unique looking spoons. This idea allows you to display your priced possession in a very innovative manner. 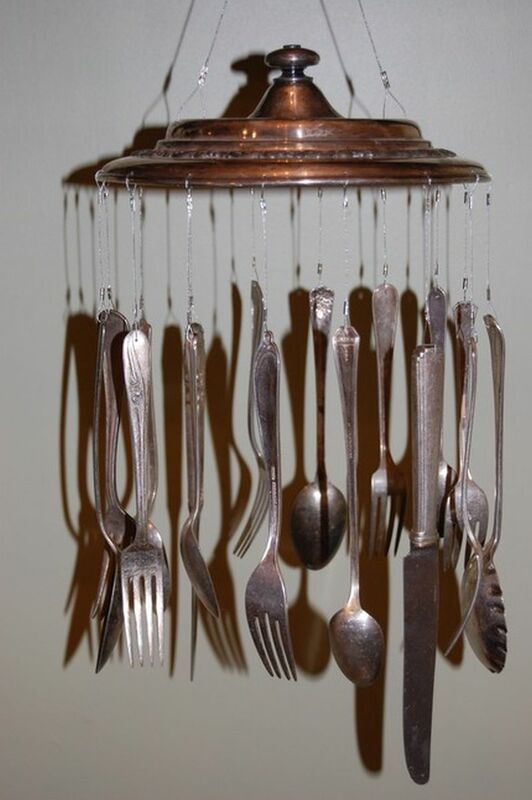 Instead of using up space to place your spoon collection, you can make a rustic looking wind chime. If you want to make it more beautiful, consider a few wind chime ideas with waste materials and combine them with your old spoons. 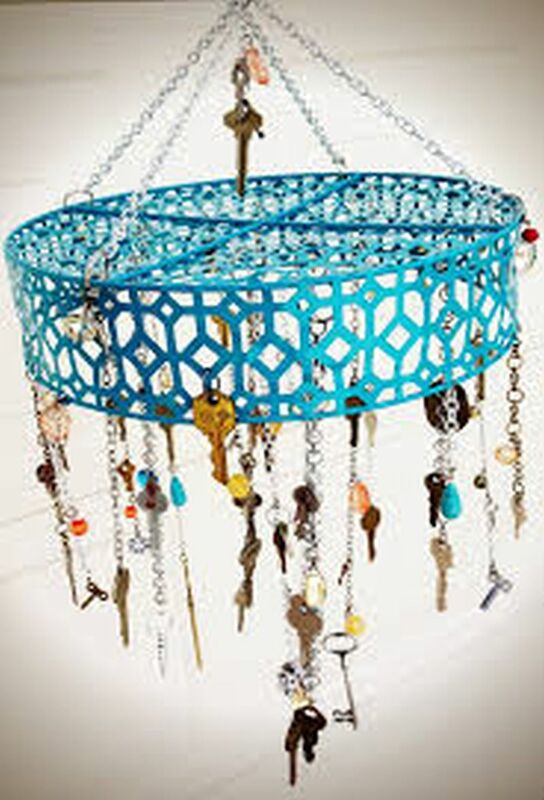 DIY wind chime ideas with chains are very interesting. There is a beauty in simplicity and this is something that we all know. In fact, this idea is a perfect way to surprise your loved one. For the ornaments, you can hang small sized photos of some of your favorite moments. Do you have a bunch of photographs that you do not want to throw out? Well, this idea will let you convert them into something more useful. Most of the time, we either store our photographs in a draw, album, or frame. Now, using a combination of different DIY wind chime ideas, hang your old photos and let them be part of the wind chime. This is a perfect way to store your pictures and still have them in front of you. Although there are many variations on wind chime ideas and tutorials made with sticks, this one is the most simplest to make. All you need are the different colors of the rainbow, thread, or twine, a few sticks, and some bells. Pinecone decorations are very beautiful to look at. In fact, there are so many ways that you can decorate your house with pinecones. 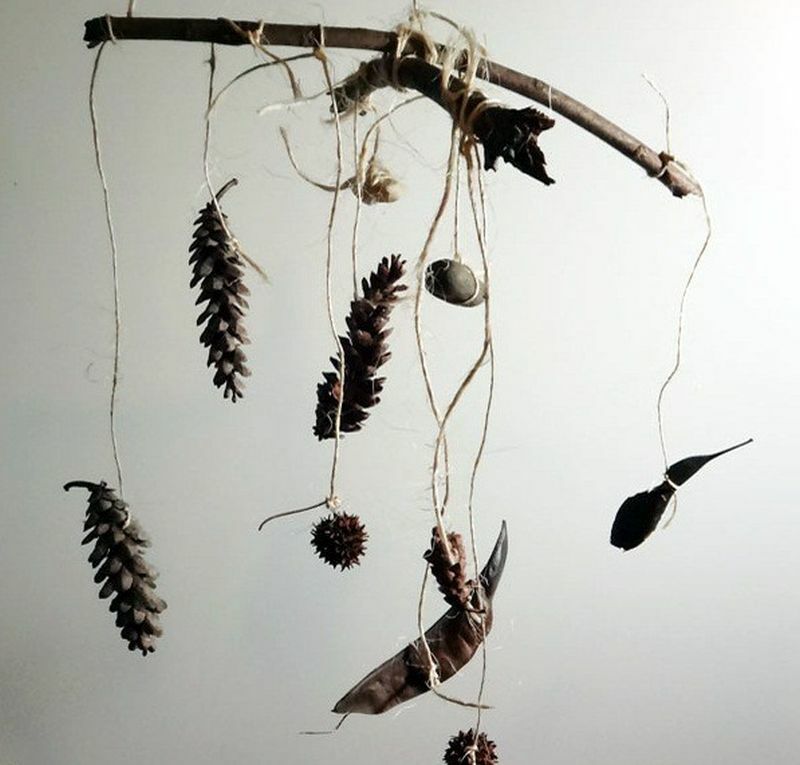 This idea will help you to understand how to make wind chime at home with your old Christmas decorations and pinecones instead of just storing them in your store room. 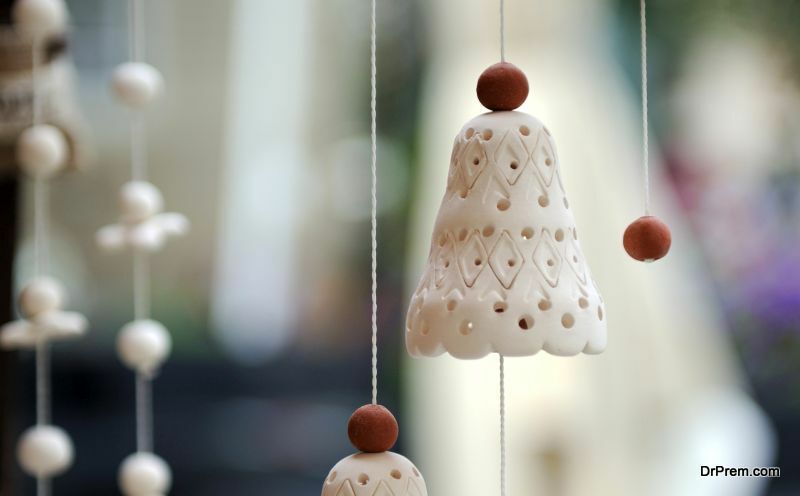 Along with that, you can also improvise on this idea and make your wind chime more beautiful. Making a wind chime at home is a lot of fun. It is not only a great way to put old things into good use; however, it is also a perfect way to decorate your home. You can also get your kids to work on these ideas so that they can also learn how to make their own wind chimes. Moreover, this will also help them to put their time into good use while learning something new.